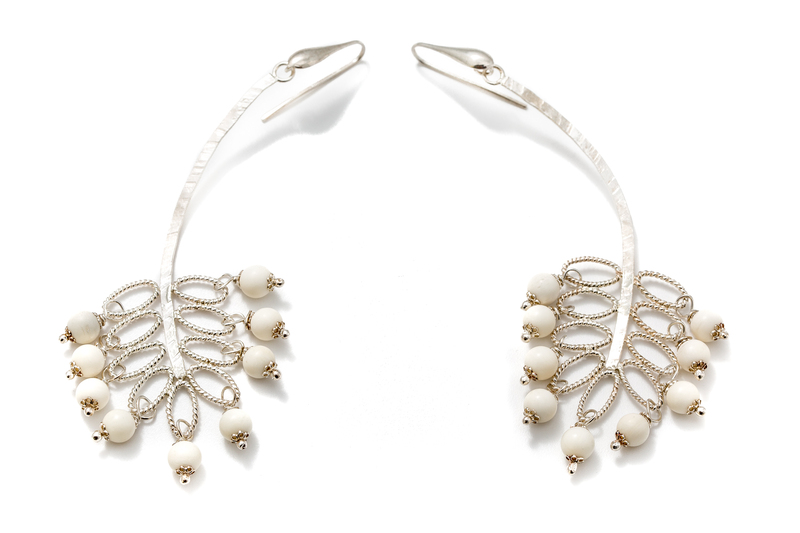 Small hard stone beads convey lightness and movement to these elegant silver myrtle leaf-shaped earrings. 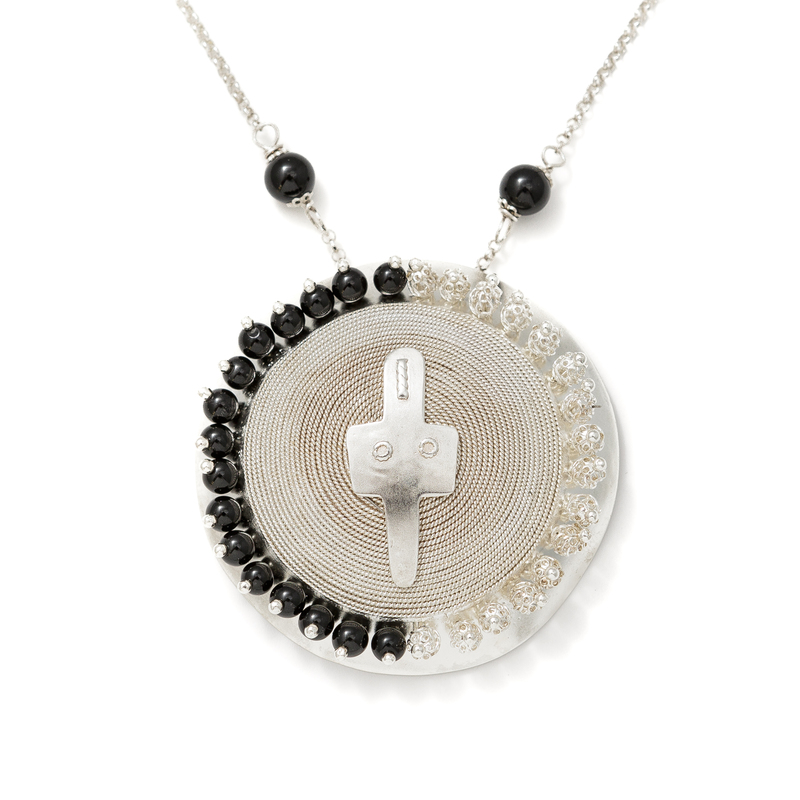 This necklace with an important silver pendant of granulated filigree is inspired by symbols of the Sardinian culture. It is a precious tribute that this goldsmith pays to Sardinia, realised as a unique piece, which expresses her strong bond with her home land with a distinctive trait. 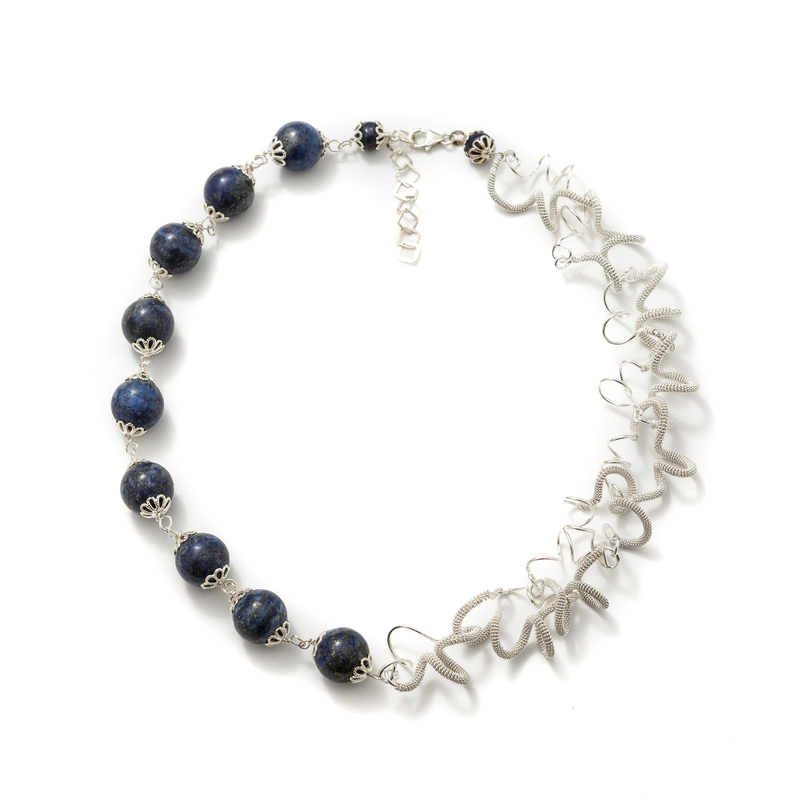 This refined asymmetric silver and lapis lazuli necklace is made with filigree mesh and smooth wire crafted in elegant abstract shapes. Made by hand with technical skill, this jewel expresses the distinctive experimental path of this artisan. This outstanding and elegant silver necklace with blue enamel is specifically created on the meshed filigree design which creatively reinterprets tradition. Completely handmade as a unique item, it is the result of the distinctive experimental and technical path of this goldsmith. Anna Catalano’s jewellery reveals a sensitive, sophisticated nature. These precious artefacts are made with great expertise and passion and are characterised by an elegant artistic touch. She interprets the ancient filigree technique with a contemporary touch combining her personal method with an experimental style of great charisma. Anna D’arte learned the goldsmith’s craft through professional training courses held by an illustrious filigree master, thanks to whom she was stirred by this ancient form of art. In 2014 she set up her own workshop in Assemini, a small town on the outskirts of Cagliari where she still works and exhibits her creations. She is a keen, artistically experienced researcher, and stands out from tradition to experiment in a very personal way, thus distinguishing herself through the innovative use of enamels combined with filigree. Still a young artisan, with her creations she takes part in the main events and exhibitions in the field dedicated to the excellences of local craft. 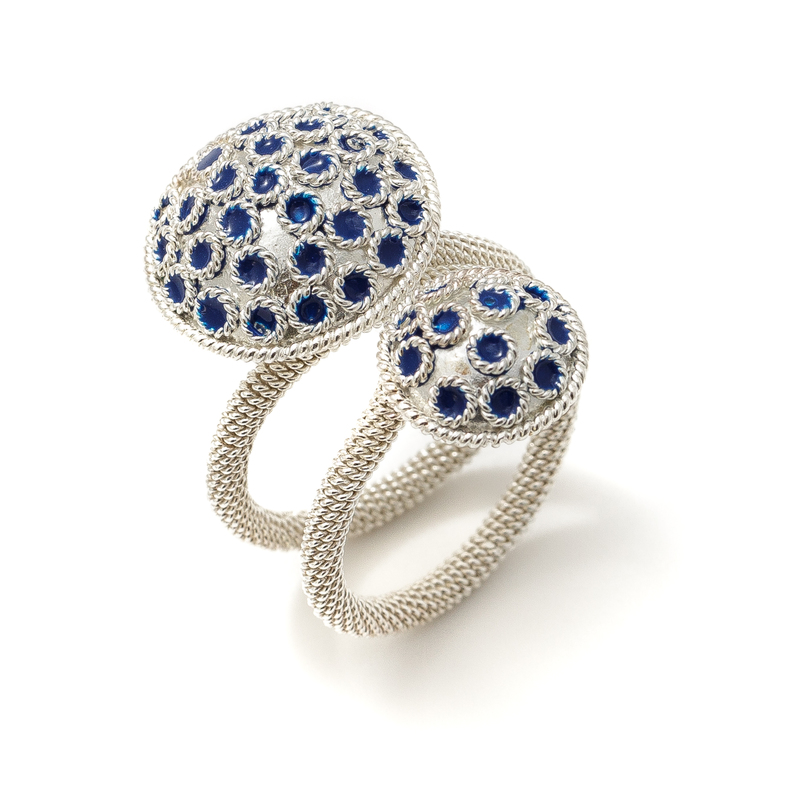 Anna D’Arte’s jewels have a distinctive contemporary touch and high-quality manufacture inspired by traditional filigree processing, which is further developed through her personal technique. Chromatic enamelling of filigree has become her hallmark. Necklaces, bracelets and rings are characterised by an elegant combination of elements typical of the tradition, skilfully crafted in neat innovative shapes. Starting from the filigree technique, this goldsmith craftswoman’s creations are realised with the further combination of enamelling and traditional goldsmith techniques.